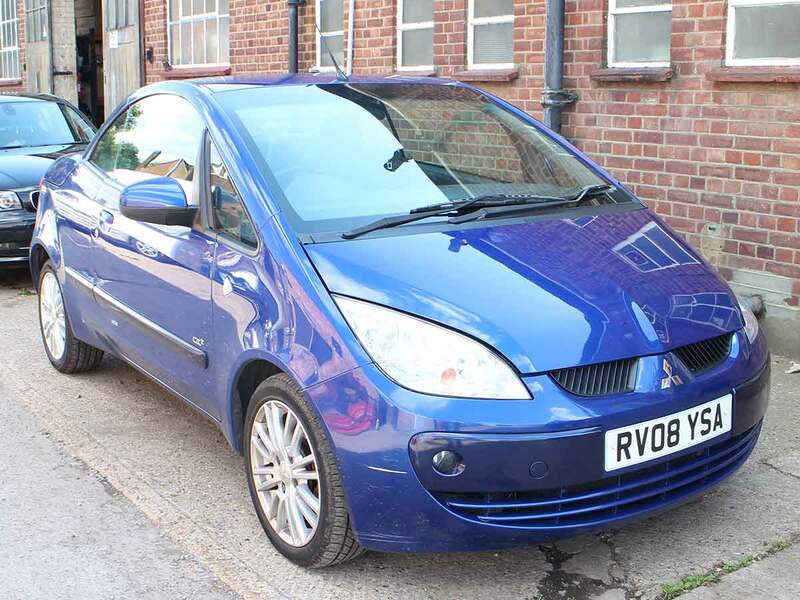 Here we have a little Mitsubishi Colt 1.5 CZC2 Convertible. These are very much a Marmite car. You either love it or hate it. It's a little px we have taken in and just need to go as we need the space. An accurate description as follows. Very straight little car but does have some paint defect. None of these have been caused by accidents but Vandals running a key across some panels. These are as follows. The offside quarter panel and driver door. These have been touched in but look close enough and you can spot these. The passenger door and again touched in and look close enough and you can see it. The driver seat has a small tear on the bolster but a good trimmer could repair this with a very close matching colour for about £70.00. The hood works 100%. The wheels and tyres are all very goo and being Japanese the mechanics are 100%. Other than what we have noted the car is fine and ready to for a new home. Just a great value little convertible.